With the holidays approaching, we're hoping you find an awesome new YA book to gift someone. Or better yet, maybe you'll find one to put on your own holiday wish list. Thanks, as always to YALit.com for helping us find these new releases. Read on for an interview and a giveaway all the way down at the bottom. From Goodreads: Seventeen-year-old Luke lives and works at the Moonflower Motel in Moab, having fled New York City where his father Frank drowns his sorrows after the death of Luke’s mother. Back in New York, eighteen-year-old Ava meets Frank at an Alcoholics Anonymous meeting. When these lost souls converge in Moab, what happens transforms them all. I worked in fits and starts over four years and taking care of my three small children. I wrote the first draft in only three months! But then it took ten extensive rewrites before an agent was willing to take me on. 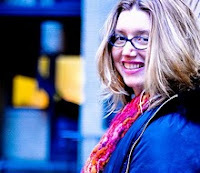 My rewrites over those first four years happened amidst rejections from two agents and two editors – one at FSG and the other at Random House. Even though I received very nice rejection letters, (both said that I had too much material for one novel) I took a break for over six months before finding the energy to work on narrowing my scope and cast of characters. I finally had success at landing an agent, the debonair Edward Necarsulmer of McIntosh and Otis at a lovely lunch on Halloween of 2007. I worked on two more revisions with him, and then, in April of 2008 we sent the manuscript to Margaret Ferguson who had read an earlier draft. In July, Edward called me with the ecstatic news that that FSG wanted to buy my book! Two and a half years later, it is being published. Publishing can be a harsh mistress, with much ego puncturing, but don’t let that stop you from writing or practicing your craft. I almost gave up on myself several times, but have come to the conclusion that this is who I am: a writer, and nobody can tell me otherwise! From Goodreads: When Nick's mother dies suddenly, the 14 year old is sent straight into a boys' home, where he finds institutional intimidation and violence keep order. Nick thinks life can't get any worse - but the professionally respected deputy head, Mr Creal, who has been grooming him with sweets and solace, has something much more sinister in mind. From Goodreads: The astonishing final novel in Richelle Mead's epic series! Murder. Love. Jealousy. And the ultimate sacrifice. Now, with Rose on trial for her life and Lissa first in line for the Royal Throne, nothing will ever be the same between them. From Goodreads: Foster kid Emma Paxton has only just discovered Sutton Mercer, the wealthy twin sister she never knew she had, when Sutton drops off the face of the earth, asking Emma to cover for her at home, school, and with her friends—just for a few days. At first Emma enjoys trying on her sister’s fabulous life: her fiercely loyal friends, her adoring boyfriend, her close-knit family. But as Emma is drawn deeper into Sutton’s world she finds the friends are not so fabulous, the boyfriend is not who she wants to be with, and the family is clinging to long-buried secrets and a veneer of functionality. And worst of all, Sutton may not be coming back. In fact, someone may have made sure she never could…and that someone knows Emma is not who she claims to be. 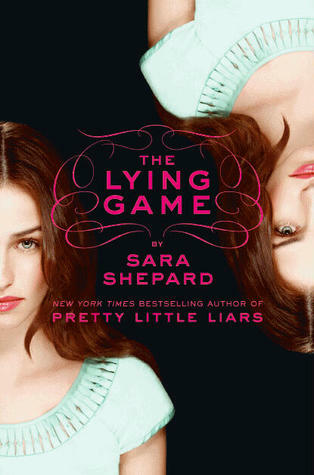 Emma will need all her wits to survive The Lying Game. 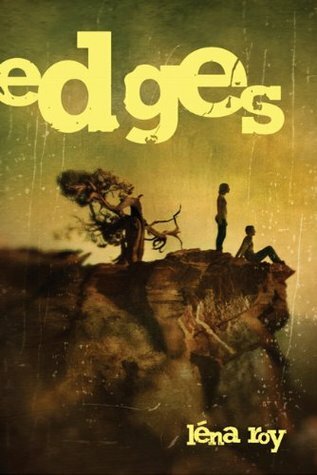 Léna Roy (who is truly one of the sweetest people ever) is offering a copy of her book EDGES to one lucky reader. All you have to do is leave a comment on this post and fill out the form below for a chance to win! The contest is open to US residents and will close on December 8th at midnight. Good luck! Great interview. Lena's description of publishing as a hard mistress is so true. Good luck to my US buddies! Great interviews! Great interview! I can't wait to read Last Sacrifice! I just hope it doesn't disappoint like so many end of the series book. In Stores This Week: Contest Winner!